Disney Donna Kay: Wordless Wednesday - Joy!! I can honestly say few thing in my life have brought me more joy than my precious little Lexi. 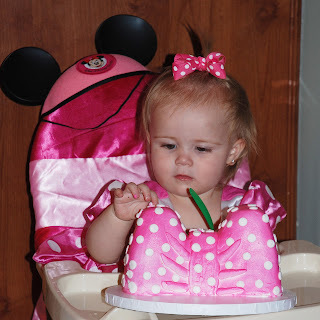 Love these pictures from her Minnie Mouse themed first birthday party at Nana and PawPaw's. Just 2 more days until we get to see her for Christmas!! And NO BIB! This is the sweetest, funniest, and cutest thing I have seen in a long time ;-) I love ... thanks for sharing!! 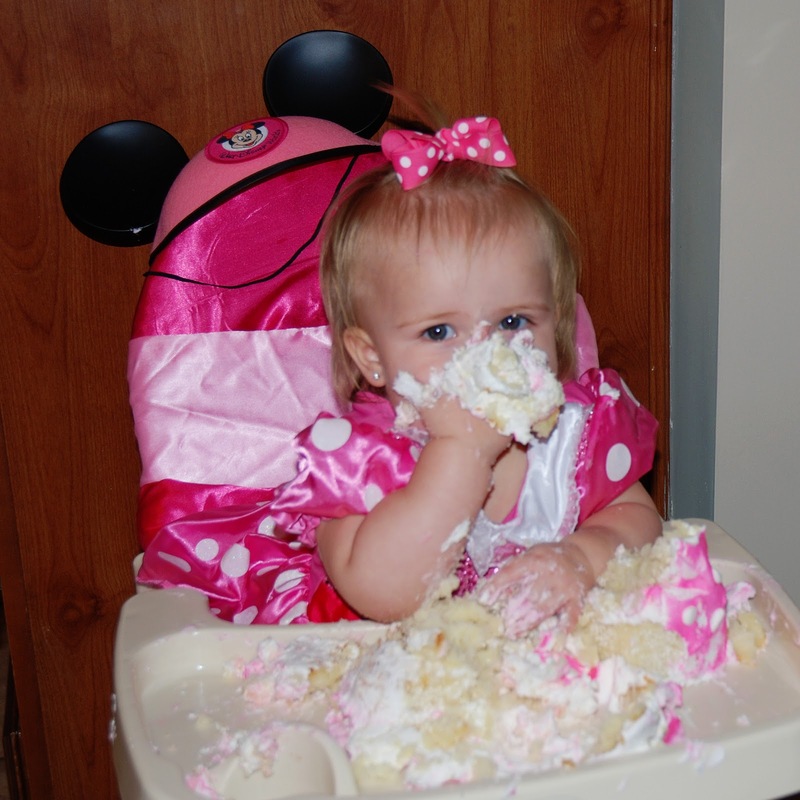 We wouldn't wear a bib and hide that adorable Minnie Mouse costume!! Oh, that is just too too cute! Sweet ♥ Joy!! Love you Ash!! Give Lexi kisses for me!! Merry Christmas Donna Kay . So cute! That cake was awesome! Thanks Diane & Melissa!! She is a real cutie!! This was just the smash cake the "real" cake was gorgeous!! Oh goodness! That little doll sure can tear up a cake. Way to go, girl!! Sweet, sticky joy.